Initially, Dr. Noelle Margelowsky learned of the advantages of regular chiropractic care and nutritional guidance by observing the benefits which treatment provided to her mom in resolving an ongoing issue. She then personally experienced the effectiveness of care from a patient’s perspective when she received treatment from Dr. Murray beginning at 14 years old. Job shadowing at Lake Country Health Center during high school cemented her desire to pursue a career in providing care for others. Through her shadowing, she found it intriguing that infants and young children could benefit from chiropractic care. She was also surprised at the benefits seniors reaped, increasing their mobility, activities of daily living, and quality of life. The success Dr. Noelle had in using chiropractic as her primary health care truly solidified her decision to provide others with the same results. 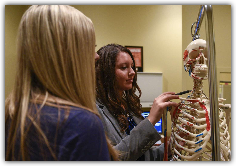 When in school at Marian University, Dr. Noelle learned the value of treating the whole body through her studies of Biology. Building on that foundation, she went on to Palmer College of Chiropractic, where she excelled in the areas of clinical diagnosis, nutrition, rehabilitation, and radiology. She became a radiology intern and assisted fellow students in taking quality x-rays. In addition to her required course work, she elected to study soft tissue therapies, Activator Methods, and Flexion Distraction techniques. She also has undergone training from the International Chiropractic Pediatric Association in Webster’s technique. 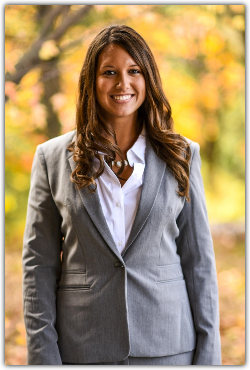 Dr. Noelle intends to further her education on female and children’s health, sports medicine, and nutrition through ongoing training. Her passion to help people of all ages achieve better health naturally stems from knowing that a healthy nervous system and spine are vital in facilitating healing. Dr. Noelle is excited to continue working with Lake Country Health Center in corporate locations across Southeastern Wisconsin!